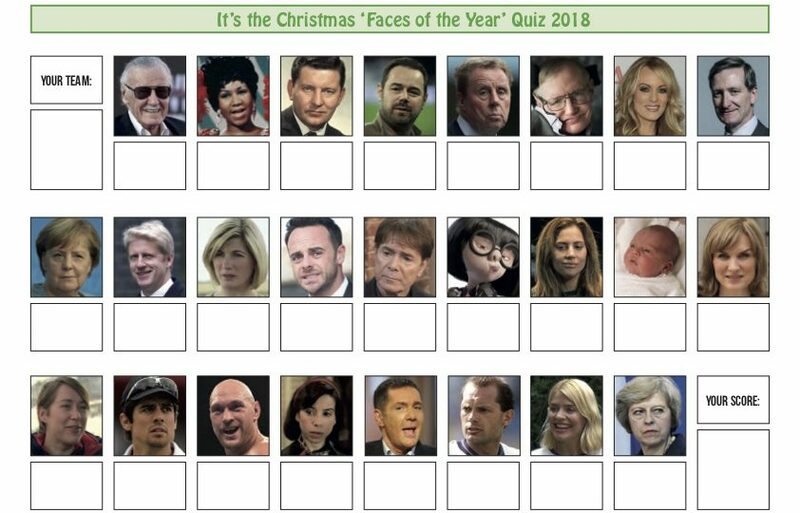 Free Printable 2018 Christmas Faces Picture Quiz for your party! Always popular at our Christmas party, this one, and people always ask for a copy, so here it is (below, click for printable PDF). All you need to do is to identify the faces who have been in the news in the UK this year. Do use and enjoy, wherever you may be. I reckon it’s best tackled in teams of two. Our winners this year managed 23/25, although some teams only got 12. Brilliant – thank you! saved me an hour or two!! Thank you, certainly saved me loads of time. Brilliant. Thank you. Saved me a heap of time.